2009 was the year that we shot our feature film, The Nocturnal Third. It was my feature debut as a director, and the shoot was scheduled to be spread across weekends during the Summer. It shouldn’t be a big surprise that I wasn’t able to make it to many of this year’s major releases, and the ones I did make it to, I had a hard time enjoying. This was really one of my first Summer movie seasons as an adult, having just gotten married. There was trouble at work, money was tight, and it seemed every day had a new crisis to manage. Pre-production on The Nocturnal Third was a very stressful time for myself and my wife, and – funny enough – going to see movies didn’t really relieve much stress. In fact, it reminded us of all the work we had ahead of us. Once shooting started, personal life became a bit easier, but I did have to skip every single theatrical release for about three months. We didn’t start shooting until the end of July, though, so I was able to see many of the season’s early hits. I distinctly remember seeing this film on a date with my wife. We had saved up the cash to go to a pretty expensive dinner, and caught this right before. I’m glad we didn’t end the night with the film. Much of the internet was abuzz throughout the Spring because of a leaked draft of X-Men Origins: Wolverine, and 20th Century Fox was on the defense. They had good reason to feel like they were being gunned for, because they made quite a bad movie. I was no fan of the overstuffed and under-thought X-Men: The Last Stand, but that film is quite an epic success compared to Wolverine’s solo outing. Studio notes seem to proliferate a film that has zero tempo or real dramatic thrust. 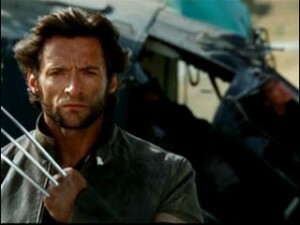 X-Men Origins: Wolverine opens with a strong, memorable credits sequence and then loses points from there. I’ll hand it to Liev Schreiber for giving Sabertooth his all, but it’s hard to look back at this calamity with any kindness whatsoever. In previous years, Marvel had stepped up to the job of setting the tone for the Summer, kicking off May with rollercoasters like X2: X-Men United, Iron Man, and Thor. They, of course, did it again in 2012, but they kind of dropped the ball in 2009. It’s all good, though, because JJ Abrams was there to catch it. Angering long time Star Trek fans and delighting Paramount stockholders, Abrams launched the flashy and poppy Trek reboot that the series desperately needed. 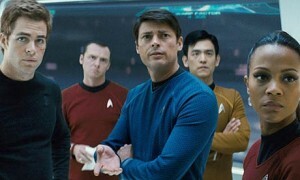 I won’t pose as a Trekker: I had no real affection for the franchise before this film. However, the Abrams movie functioned as a gateway drug for me, as well as countless others. Since seeing this movie in the theater twice in the Summer of 2009, I’ve watched most of the Original Series and have enjoyed all the Star Trek films. At this point, I actually prefer the exploration and logic of Star Trek to the fantasy and mysticism of Star Wars, which is a development I never would have expected. While Abrams’ film is a fun and necessary introduction to Trek for our generation, I don’t think it has to be our defining iteration. One of the great things about this movie is that it uses sci-fi ideas to protect the original iteration’s continuity. This means I can enjoy the Original Series in all its glory, as the best version of the Star Trek idea, without feeling like its continuity will be nullified some day. It’s common to go to a movie theater during the Summer to expect action thrills or laughs or even drama… it’s rare to expect scares. And yet, with his weighty Spider-Man clout, Sam Raimi was able to make the best horror film in years; Drag Me to Hell is a wonderful throwback to his Evil Dead films, and generates legitimate fright and sincere comedy without sacrificing stakes. I had an absolute blast with Drag Me to Hell, although my wife didn’t. To her credit, I sold it to her as a comedy. Of course, when a young boy is yanked – screaming – into the underworld and a scrawled title card roars onto the screen in the film’s opening minutes, she gave me quite a dirty look. The film keeps up its brutal tone right up until the end credits, and it made for an excellent cinematic experience. I’ve still never caught up with Michael Mann’s latest, and I regret not doing so. I’m a fan of the director’s work, and I’ve given him the benefit of the doubt in his journey into digital. 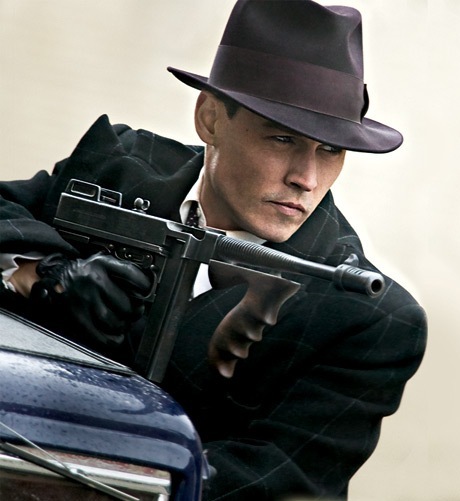 The idea of Johnny Depp and Christian Bale as dueling gangsters is still extremely enticing, and I look forward to catching the film on blu ray as soon as possible. I associate Public Enemies with the Summer of 2009 because I remember being intrigued by the idea of a character-driven period piece being a major Summer release. Unfortunately for Mann and the studio, the film was (not surprisingly) a disappointment, as it was pitted against the more clearly testosterone-driven and PG-13 rated Transformers: Revenge of the Fallen. This was clearly an Oscar-style prestige picture, and I long for the days of Saving Private Ryan, when something like that could actually be remembered during Awards season. Of course, an August release from 2009 might prove that criticism wrong. I was able to take a break from production, and the week before we started shooting, we caught the sixth Harry Potter film… on my birthday, as I recall. I had completely forgotten the events of Harry Potter & The Order of the Phoenix, and my interest in the series had greatly declined by this point. 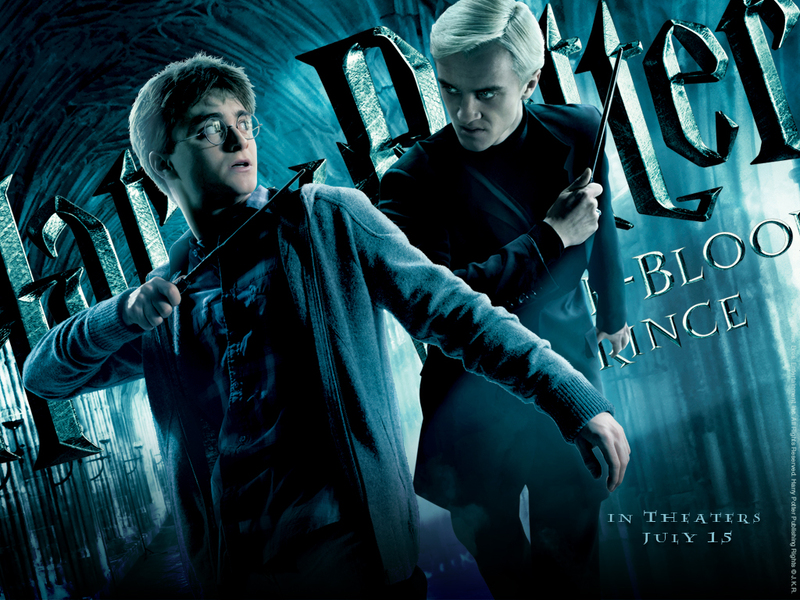 I went into the theater wanting a passable fantasy adventure, and got what I consider to be the best Harry Potter film of them all. 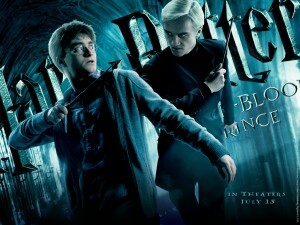 The reason Harry Potter & The Half-Blood Prince works so well is the espionage-laden story arc given to Draco Malfoy. As he struggles with his mysterious mission in the shadows, the audience is paired with our main characters, going through their typical episodic adventures. The film is a great showcase for director David Yates, who uses the fairly self-contained story to play with unique fantasy imagery on a grand scale. Even in Alfonso Cuaron’s Prisoner of Azkaban, the world of Harry Potter never looked so epic and cinematic. Between this, Drag Me to Hell, Up, and Star Trek, this lean Summer movie season still provided some great theatrical experiences. Unfortunately, these last two entries were experiences that had to wait until home video. My wife and I caught up with District 9 in September, after listening to Nocturnal Third crew members rant about its merits all August long. 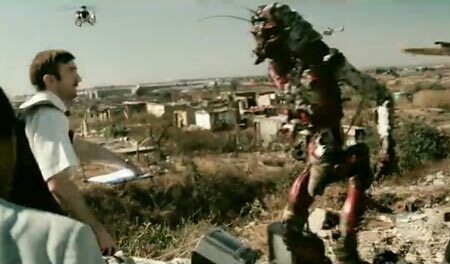 Once I disregard the hype of District 9, I can see it for the marvel that it is: a reasonably smart, well-crafted sci fi horror thriller with one heck of an action finale. While I can take issue with the sincerity of the film’s posturing political statements, I can’t argue with its attempt at making serious, R-rated science fiction, the likes of which we rarely see anymore. The film managed to garner an Oscar nomination for Best Picture, but I have to assume that had more to do with fan backlash from voters who felt it was this year’s Dark Knight. Again, Quentin Tarantino’s latest film was one I had to first experience on blu ray. At first, I planned to watch Inglourious Basterds alone, on lunch breaks and in between edit sessions, but once I saw its opening scene, I knew it was going to be a movie I had to watch in one sitting, with my wife. Although I can’t say I enjoyed the rest of the film as much as I did the harrowing introduction of Hans Landa, I am very pleased that Tarantino’s “masterpiece” received the audience attention it deserved. 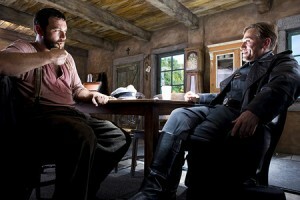 Again, Inglourious Basterds is the kind of Summer release we rarely get, but would all like to see more often. It’s a slick, fun conversation-starter, and a great alternative to content geared towards 12-year-olds, because it’s actually content geared towards 19-year-olds. But, in this day and age of Summer movies filled with action figure characters and cardboard premises, I’ll take what I can get. It’s hard to believe three years have already passed since the Summer of 2009. While this season didn’t have an Apollo 13 or a Blade Runner or even a Minority Report, but it still gave us a wide array of entertaining films, some of which are much more respectable than the typical Summer fluff. Thanks for reading! Check out Matt Scalici’s post for the 10 Best Actors of All Time Relay, in which he bumps Montgomery Clift from the shared list and adds quite a great pick. Also, head over to the website for the feature film that interrupted my Summer movie viewing for three years in a row!